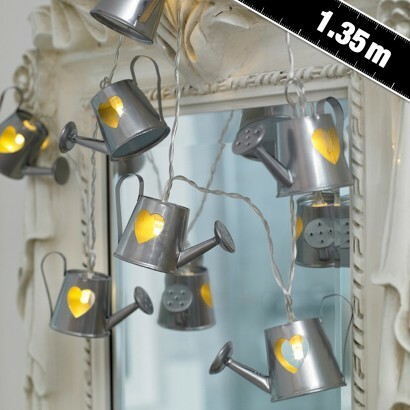 Decorate garden rooms, conservatories, kitchens and more with cute little watering cans lit by warm white LEDs. 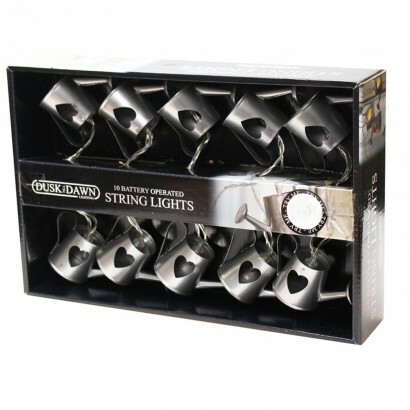 A sweet way to bring the outdoors in, these green fingered LED string lights are battery operated and so can be placed anywhere for a touch of rustic charm. 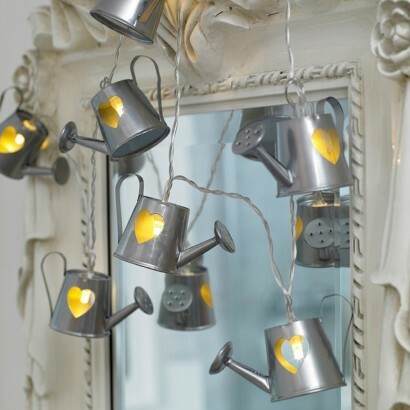 With ten watering cans per string, these brushed metal fairy lights add vintage charm to your interiors.